Like Mickey Mouse and Bugs Bunny, Dr. Seuss’s Cat in the Hat owes a debt to blackface minstrelsy. In 1955, Dr. Seuss and William Spaulding—director of Houghton Mifflin’s educational division—stepped into the publisher’s elevator at 2 Park Street in Boston. As Seuss’s biographers tell us, the elevator operator was an elegant, petite woman who wore white gloves and a secret smile (Morgan and Morgan 154). They don’t mention that she was Annie Williams, nor do they say that she was African American (Silvey). Seuss was on that elevator because Spaulding thought he could solve the Why Johnny Can’t Read crisis by writing a better reading primer. When Seuss sketched this book’s feline protagonist, he gave him Mrs. Williams’s white gloves, her sly smile, and her color. However, she is but one African American influence on Seuss’s most famous character. One source for that red bow tie is Krazy Kat, the black, ambiguously gendered creation of biracial cartoonist George Herriman (Cohen 325). Seuss, who admired what he called “the beautifully insane sanities” of Krazy Kat (qtd. in Nel, Dr. Seuss 70), also draws upon the traditions of minstrelsy—an influence that emerges first in a minstrel show he wrote for his high school. The Cat in the Hat is racially complicated, inspired by blackface performance, racist images in popular culture, and actual African Americans. The Cat’s influences help us to track the evolution of the African American cultural imaginary in Seuss’s work, but also, more importantly, to exemplify how children’s literature conceals its own racialized origins. Considering the Cat’s racial complexity both serves as an act of desegregation, acknowledging the “mixed bloodlines” (to borrow Shelley Fisher Fishkin’s phrase) of canonical children’s literature, and highlights how during the 1950s—a turning point for African Americans in children’s literature—picture books were a site where race, representation, and power were actively being contested. 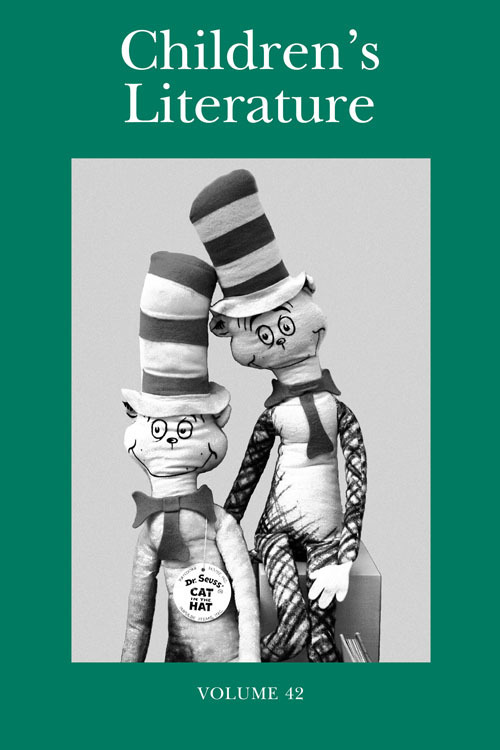 Thanks to generous individuals (such as Charles Cohen, who provided the photo of the Cat in the Hat toys that you see on the issue’s cover), the article also includes some illustrations. Here are two, both of which are racialized interpretations of the Cat in the Hat — one from 1996 (in which the Cat represents O.J. Simpson) and one from 2012 (in which the Cat represents President Obama). The Cat NOT in the Hat! can be found only in the Library of Congress. 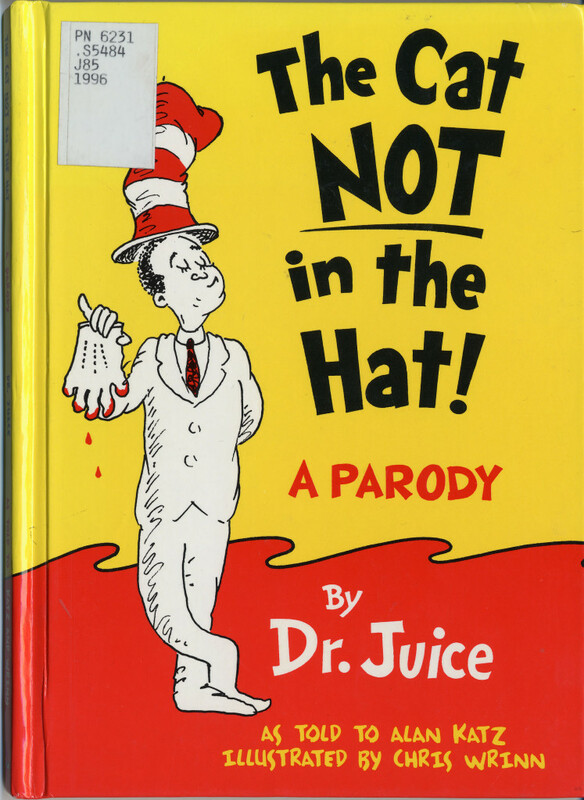 Dr. Seuss Enterprises successfully sued its publisher and prevented its distribution on the grounds that it was not a parody: It merely mimicked Seuss’s style to comment on the O.J. Simpson case (Dr. Seuss v. Penguin Books, 1996). Distribution of the book was suppressed. To the best of my knowledge, all copies — save for the one in the Library of Congress — were destroyed. 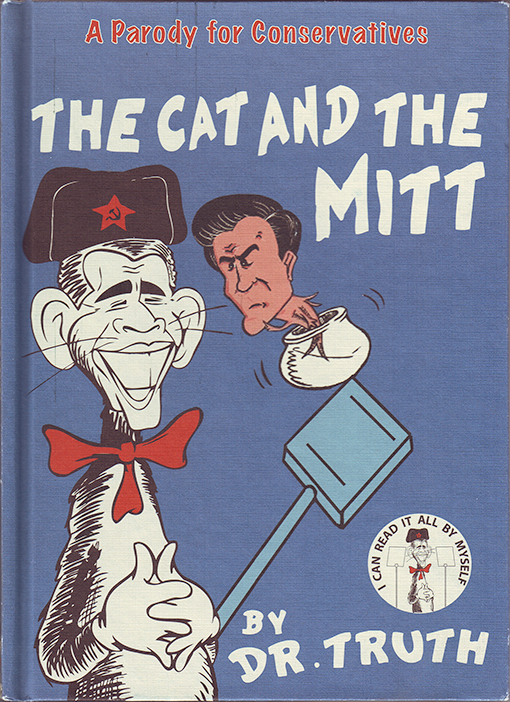 The Cat and the Mitt is a special election-year version of Loren Spivack’s The New Democrat, which can be purchased from Mr. Spivack’s website. There would be more than eight pictures in my article, but Dr. Seuss Enterprises (the corporate entity which oversees the licensing and production of all things Seuss) would not grant permission to reprint any images to which it controls the rights. As I’ve always had good relations with the Seuss people in the past, I asked why. I received no response, but my guess is that the “no” has something to do with the fact that the article addresses Seuss and race. When I wrote the Seuss bio. for the Seussville.com website, my original version included commentary on Seuss’s racist wartime cartoons — I framed the issue in what I thought was a sympathetic way, noting that his earlier stereotypes ultimately yielded to greater understanding (as in the anti-racist Horton Hears a Who! and The Sneetches). Such an approach offered a redemptive reading of Theodor Seuss Geisel’s work on race. But I was asked to cut that. Since I was writing for a corporate website, I did as I was asked to do. Published in an academic journal (instead of on a corporate website), this new article has the freedom to offer a more complicated, more nuanced reading of Seuss and race. I realize that it still needs work, and I will rewrite and revise further for the book-chapter version. But it’s the best work I’ve done on Seuss and race so far. So, I thought I’d share a snippet here — with, as I say, more available for any who wish to pursue the topic further. Looking forward to reading the entire piece. I think children’s books, animation, and comics can tell a lot about how we view race, class, and gender. I’ve read enough… no need to read your stupid article. Please go away and let the rest of us enjoy Mickey Mouse, Bugs Bunny, Krazy Kat and The Cat in the Hat while at the same time loving people of all races.